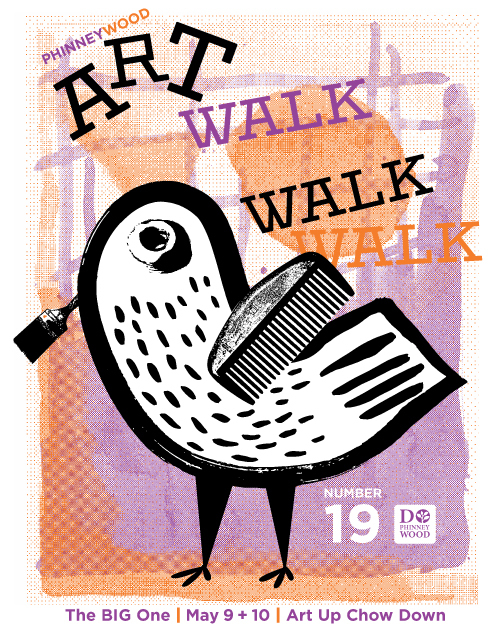 Our neighborhood celebrates 19 years of hosting an artwalk, which is one of the reasons why we call it “The Big One“. Historically our neighborhood artwalk was an annual 2-day event that occurred each year on the 2nd Friday & Saturday of May (Friday from 6-9pm & Saturday from 12-5pm). When our neighborhood added a monthly artwalk in December of 2008, we not only continued to make the May artwalk a special designated 2-day event, but we also dove-tailed 2nd Fridays as our monthly artwalk date.